Draeger Safety, Inc.ombination of a chemical reagent and electronics, the Chip Measurement System (CMS) is simple to use and requires minimal training and no calibration. A Benzene specific chip and analyzer make up the system to measure benzene within 0.2-10ppm or 10-250ppm. 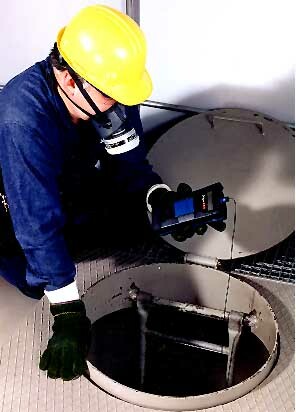 An integrated data recorder allows the user to evaluate measurement results and the remote sample probe can measure up to 10 ft. There are 28 different measurement chips this system can use to measure a range of gases and vapors, including various aromatic hydrocarbons.